The Seven Ninja Virtues: Speed, Agility, Strength, Effectiveness, Accuracy, Creativity, and General Awesomeness. If we’re going to call ourselves Ninjas then we must always be upholding these seven virtues. If we are agile enough to foresee industry changes and grow with them, we are Ninja. If we are rapid enough when handling customer requests, we are Ninja. If we are effectively and creatively finding ways to bring real estate agents value, we are Ninja. A customized concept of Katana. Scroll down to get the details & apply for early-access! Click the image above to enlarge. The truth is – and I’m not trying to be braggadocious (thx, Donald) – we’ve been Ninja since day 1, and we’re not going to stop. A few months ago I posted this photo to our Instagram account and mentioned that we were working away on something top-secret. That ‘something’ happened to be Katana, our all new theming engine developed from scratch specifically for real estate agents. 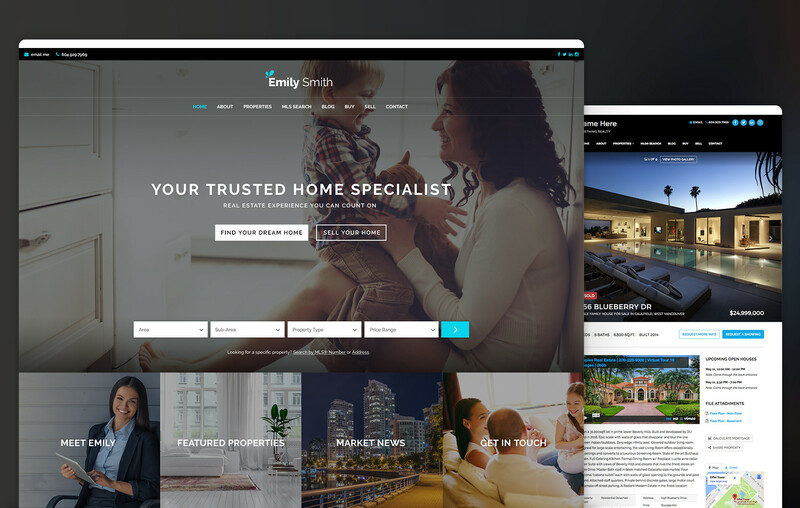 Your visitors are going to think you spent $20,000+ designing your real estate website. In reality you won’t even spend that in 10 years with our new secret weapon for REALTORS®. Katana themes will allow for much more page layout flexibility and design options than our current themes do. We have so much more creative control! The entire underlying engine that runs the website has been re-envisioned and re-created. Thanks of course to the hundreds of helpful insights we’ve received from customers over the years. I wish I could tell you more. The truth is, we were hesitant to release even this much information. The mockups you see here are very early concepts we are currently developing and will most likely change before Katana is officially launched. Today we wanted to give you a sneak peak at the level of quality and potential for beautiful customizability you can expect from Katana. Needless to say, it’s been really hard to keep this a secret for over a year. Exclusive Early Access to Katana Now Closed! While we’re not 100% sure when Katana will be released to the public, we’re also not 100% unsure. We estimate that Katana will be available to our early-access users towards the end of this calendar year. Share feedback and have a say in future Katana upgrades. Thank you all for sharing in our excitement, and for remaining vigilant with your marketing. We might open up a second round of early access sometime in the coming weeks. If you missed out on round one, subscribe to The Dojo mailing list and we’ll keep you posted about round two. Note: Opting in for early access does not obligate you to purchase or use Katana, it’s simply to reserve your spot. We will follow up with you in the future with details. It’s free to apply for early access, but not everyone will be granted it. The most important criteria is that you must be a real estate agent to qualify. Updates That Affect Current Customers! Our objective with Katana is to bring you the level of quality typically seen with high-end (very expensive) custom websites. While making it affordable for an individual agent to take advantage of quickly… without having to be a techie. We are creating an easy-to-use layout engine from scratch, that will allow any agent to effortlessly re-arrange and control their website’s pages and functionality. With the level of quality and ease that we’re known for. 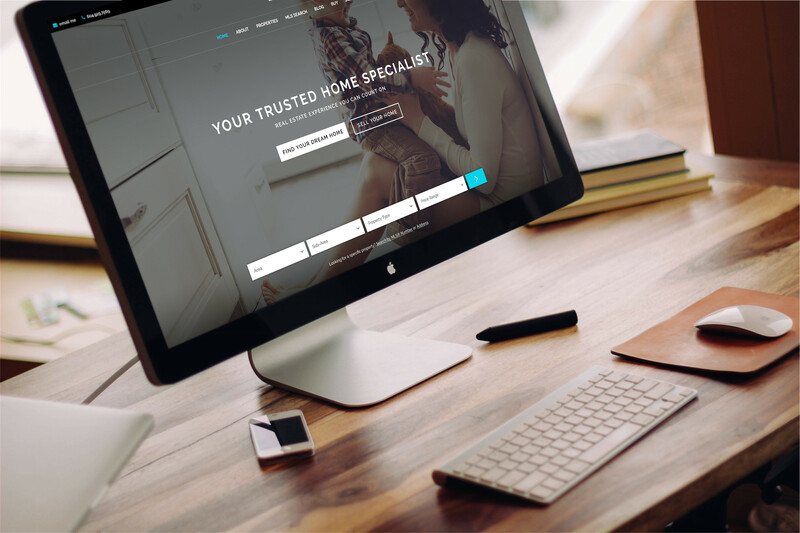 We want to make sure that our customers are benefiting from the latest web technology available and putting their best foot forward with their personal real estate website. We have already started laying the foundation for Katana, and have made a point to ensure that our existing websites take advantage of some of the improvements already made. Increased speed of MLS® search results, particularly noticeable on DDF and Alberta boards. Improved stability of your “Manage Pages” lightbox, including to page reordering and saving functions. Improved appearance and function of MLS® search sliders. Added larger handles for a better mobile browsing experience. Added new swipe-friendly carousels for listing and building photos on mobile browsers. Updated lightbox designs for more smooth and seamless interaction. Rebuilt uploaders for listing and building photos in the back-end. Improved caching so that pages load faster for repeat visitors. Cleaned-up functions for picking a date on “Request a Showing” call to action. Updated JQuery to the latest version – a core piece of technology we use – which will allow us to create more powerful functionality in the future and creates a smoother experience across devices. Optimized loading of our IDX embed functionality for more rapid load times.